Time to celebrate another Friday! Have a great weekend! 1. 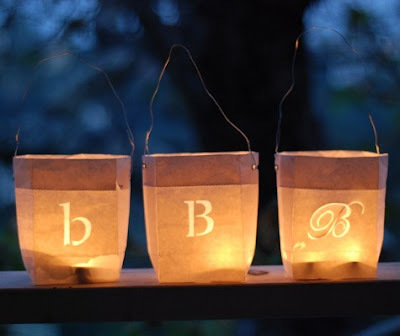 I LOVE these paper bag lanterns from Design Sponge! You know my "V" obsession so this is a perfect project! By the way, this site is DANGEROUS! Proceed with caution - there's eye candy galore! 2. My sister Kristen recently featured a homemade chicken stock recipe - for your crockpot! It's a two-fer, because you also get a batch of shredded chicken to throw in the freezer for another recipe. Definitely going to try that one. 4. 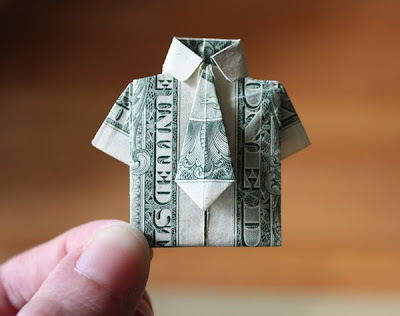 Do you know how to fold your money into cool little origami? There's got to be a fun use for this! 5. 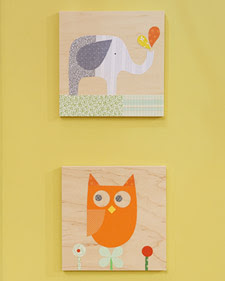 I love cute art for kid's rooms, and although I think I can figure out how to make these cute little guys digitally, Martha gives templates (and video instruction) to use with your scrapbook paper at home!